International Desk: The UK's Information Commissioner says she will seek a warrant to look at the databases and servers used by British firm Cambridge Analytica. The company is accused of using the personal data of 50 million Facebook members to influence the US presidential election in 2016. Its executives have also been filmed by Channel 4 News suggesting it could use honey traps and potentially bribery to discredit politicians. In the footage, asked what "deep digging" could be done, Mr Nix told an undercover reporter: "Oh, we do a lot more than that." He suggested one way to target an individual was to "offer them a deal that's too good to be true and make sure that's video recorded". He also said he could "send some girls around to the candidate's house..." adding that Ukrainian girls "are very beautiful, I find that works very well". Mr Nix continued: "I'm just giving you examples of what can be done and what has been done." Channel 4 News said its reporter had posed as a fixer for a wealthy client hoping to get a political candidate elected in Sri Lanka. "Cambridge Analytica does not condone or engage in entrapment, bribes or so-called 'honeytraps'," it said. Mr Nix told the BBC's Newsnight programme that he regarded the report as a "misrepresentation of the facts" and said he felt the firm had been "deliberately entrapped". 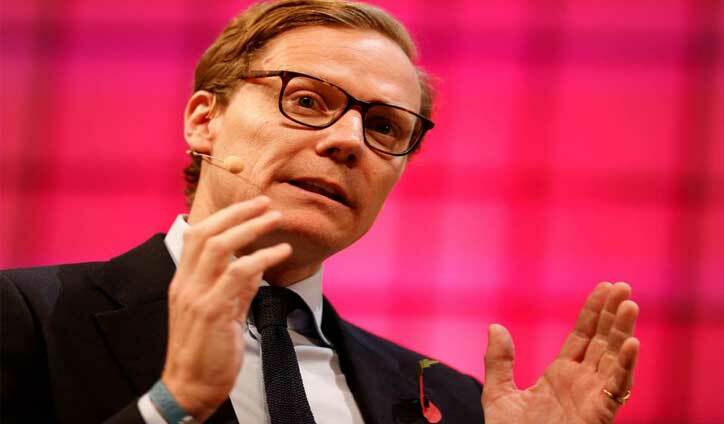 UK Information Commissioner Elizabeth Denham is already investigating Cambridge Analytica over claims it used the personal data of 50 million Facebook members to influence the US presidential election. Christopher Wylie, who worked with the company, claimed it amassed the data of millions of people through a personality quiz on Facebook that was created by an academic. Ms Denham had demanded access to Cambridge Analytica's databases and servers by 18:00 GMT but said the firm had missed her deadline. "I'm not accepting their response so therefore I'll be applying to the court for a warrant," she told Channel 4.